Qdup -(Fort Knox Recordings – Los Angeles, CA / Washington, DC) For bookings contact: USA & Areas other than Canada: qdupbookings@gmail.com Canada: tomas@daniomanagement.com Jason Brown is Qdup, and has been making dance floors groove and butts move worldwide for over a decade. Now residing in Los Angeles, CA the Wasington DC area native brings DC Funk vibes along with West Coast Festival Sensibility to the dance floor. Over the years, Qdup has released top selling tunes and remixes on many well received labels from all over the world including Bombstrikes, Fort Knox Recordings, Goodgroove, Air, ESL Music, Royal Soul, Super Hi-Fi, MustBeat and his own Qdup Records imprint. Qdup has had a steady string of acclaimed original releases with Washington, DC’s Fort Knox Recordings since 2013. His tunes have consistently made it into top 20 charts in the Glitch Hop, Funk and Breaks Genres on Beatport and Juno Download. From earning a nomination for a Washington Area Music Award for Hop Hop Recording of the year in 2013, to garnering Mixag’s “Breaks tune of the Month in October 2014, to coverage on some of the web’s hottest taste making blogs like Magnetic Mag, Surviving the Golden Age, Life Support Machine, Dance MusicNW and EDM Sauce; Qdup’s projects have consistently been praised by funky dance music aficionados world wide. 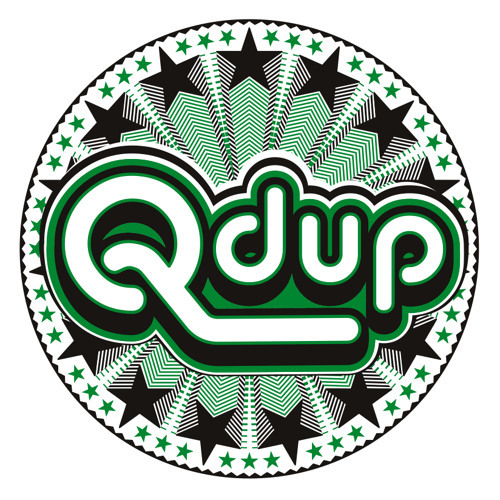 Qdup has also gained a following dropping his secret weapon DJ tunes to the masses as free downloads. Qdup broke out as a DJ on North America’s festival scene from 20012-17 including memorable sets at Shambhala Music Festival (BC, Canada), Firefly Fest (DE, USA), Art Outside (TX, USA), Gathering of the Vibes (Ct, USA), BassCoast (Merritt, Canada), Boogaloo (CA, USA) and P.E.X. (MD, USA). Late 2015 to 2016 saw Qdup join forces with longtime collaborator and label mate Steve Raskin of Fort Knox Five in a steady string of gigs performing their unique Four Deck Set. They’ve had a busy schedule with tours up on both coasts of the states, Colorado and Montana & have frequented Canada’s west coast BC and Alberta. Their touring included a festival run with Canadian favorite’s Shambhala (Salmo, Canada) & BassCoast (Merrit, Canada) and adding events like Sonic Bloom (CO), Northern Nights (CA, USA) and Burning Man (NV, USA). When not on tour, Qdup has played regularly at DC hot spots like Eighteenth Street Lounge, U-Street Music hall and Tropicalia where he along with Fort Knox Five have held their residency “Sao Funky” for 4 years. Qdup has also made the official promotional mix tapes for The DC Funk Parade 3 years running, further solidifying himself as one of DC’s most sought after party rockers. Since relocated to Los Angeles, Qdup has continued this trend frequently playing at some of LA’s best underground warehouse and festival venues.